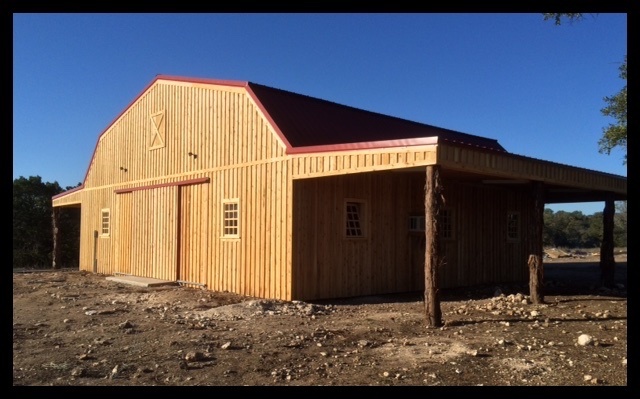 Quote Your Next Pole Barn! 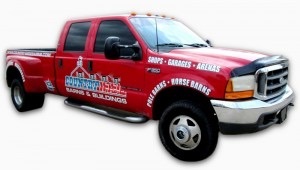 Are you looking for an estimate on your future Pole Barn Building Project? What is a pole barn? Pole construction, which has been around for hundreds of years, is building with poles that are embedded in the ground, or attached to embedded concrete footings, and used to support the walls, roof, and floor (unless the builder opts for a dirt floor). Pressure-treated posts or poles, or concrete footings, are planted deep into the ground so they can sustain a lot of pressure and bearing strength. That pressure is distributed evenly around the pole and the entire structure, which results in stable construction that has high resistance to wind damage. Each pole also serves as a framing member, making the structure even more sound. 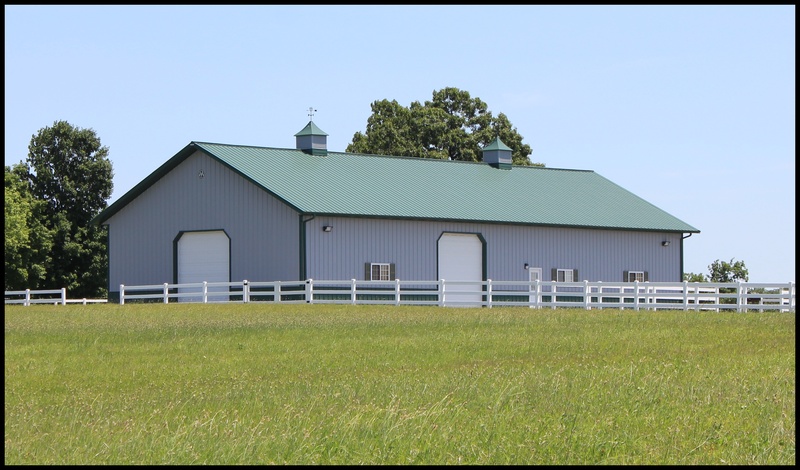 Do you need a Pole Barn? Pole barns are like blue jeans. They’re built to last, provide good value and can be dressed up or down as desired. Chances are that if you’ve been to ­a local farmers’ market or used a carport, horse riding arena, covered picnic area, storage facility or auto-repair garage, you’ve been introduced to pole barns. 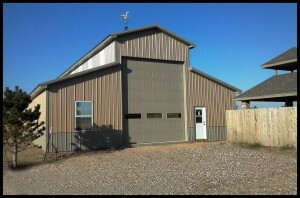 A pole barn is a structure that’s supported by poles set in the ground and anchored by concrete. Poles support the roof, and walls are optional. No foundation is required, and finished floors are also optional. Pole barns can be built to any size. The framing is horizontal to the posts, ensuring a sturdy and reliable structure. The posts and frame of pole barns are made of wood. Metal or wood siding can be used. Roofs typically are made from galvanized steel, although shingles­ also can be used. 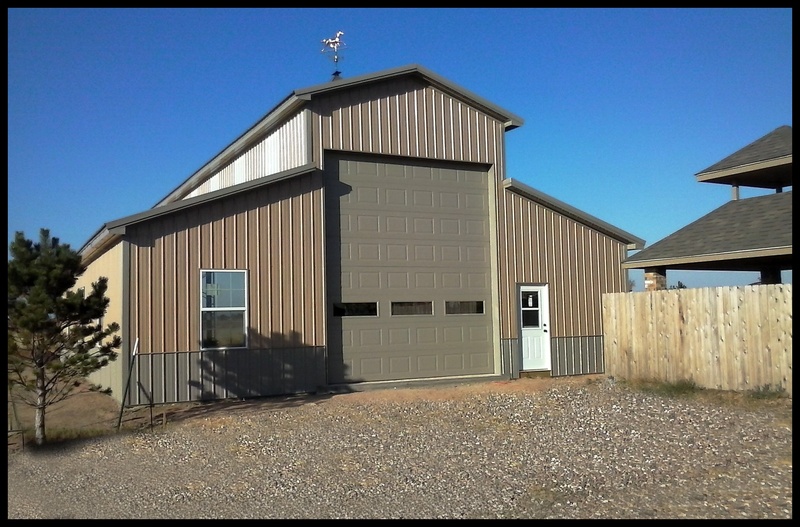 Features can run the gamut from cupolas with weathervanes, attics, covered porches, skylights and windows to Dutch doors, barn doors, sliding doors and overhead doors. Rooflines can dictate the structure’s style, from the barn-style gambrel roofline to a carriage style befitting an open-sided “run-in” stall that’s enclosed on three sides and open on one. Pole construction is considered one of the most economical ways to build, and, from a builder’s standpoint, it’s one of the simplest. The materials are also relatively cheap. Before starting the ­process of building a pole barn, talk with your local building inspector to see if ­you need a permit, zoning variance or other waivers for the project. Let the inspector know if you plan to use the structure for storage or agricultural purposes (which are usually subject to fewer building regulations). The inspector may want to see plans or blueprints and a property survey to ensure that the facility meets setback guidelines. You can also learn how deep to dig the post holes. Poles made of pressure-treated lumber. Round poles, square posts or utility poles can be used. Doors — Sliding doors will give you a higher opening than an overhead door (the type usually found in many car garages). Overhead doors need at least a foot of clearance between the top of the door and the bottom of the truss. Sliding doors are also a little cheaper.